IT HAS BEEN thought that all the works published under the names of Currer, Ellis, and Acton Bell, were, in reality, the production of one person. This mistake I endeavoured to rectify by a few words of disclaimer prefixed to the third edition of Jane Eyre. These, too, it appears, failed to gain general credence, and now, on the occasion of a reprint of Wuthering Heights I am advised distinctly to state how the case really stands. Indeed, I feel myself that it is time the obscurity attending those two names Ellis and Acton was done away. The little mystery, which formerly yielded some harmless pleasure, has lost its interest; circumstances are changed. It becomes, then, my duty to explain briefly the origin and authorship of the books written by Currer, Ellis, and Acton Bell. One day, in the autumn of 1845, I accidentally lighted on a Ms. volume of verse in my sister Emilys handwriting. Of course, I was not surprised, knowing that she could and did write verse: I looked it over, and something more than surprise seized me,a deep conviction that these were not common effusions, nor at all like the poetry women generally write. I thought them condensed and terse, vigorous and genuine. To my ear, they had also a peculiar musicwild, melancholy, and elevating. 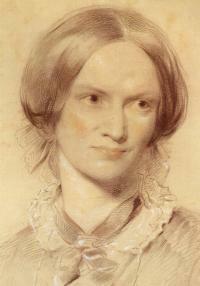 My sister Emily was not a person of demonstrative character, nor one on the recesses of whose mind and feelings, even those nearest and dearest to her could, with impunity, intrude unlicensed; it took hours to reconcile her to the discovery I had made, and days to persuade her that such poems merited publication. I knew, however, that a mind like hers could not be without some latent spark of honourable ambition, and refused to be discouraged in my attempts to fan that spark to flame. Meantime, my younger sister quietly produced some of her own compositions, intimating that, since Emilys had given me pleasure, I might like to look at hers. I could not but be a partial judge, yet I thought that these verses, too, had a sweet and sincere pathos of their own. We had very early cherished the dream of one day becoming authors. This dream, never relinquished even when distance divided and absorbing tasks occupied us, now suddenly acquired strength and consistency: it took the character of a resolve. We agreed to arrange a small selection of our poems and, if possible, get them printed. Averse to personal publicity, we veiled our own names under those of Currer, Ellis, and Acton Bell; the ambiguous choice being dictated by a sort of conscientious scruple at assuming Christian names positively masculine, while we did not like to declare ourselves women, becausewithout at that time suspecting that our mode of writing and thinking was not what is called femininewe had a vague impression that authoresses are liable to be looked on with prejudice; we had noticed how critics sometimes use for their chastisement the weapon of personality, and for their reward, a flattery which is not true praise. Ill-success failed to crush us: the mere effort to succeed had given a wonderful zest to existence; it must be pursued. We each set to work on a prose tale: Ellis Bell produced Wuthering Heights, Acton Bell Agnes Grey, and Currer Bell also wrote a narrative in one volume. These Mss. were perseveringly obtruded upon various publishers for the space of a year and a half; usually, their fate was an ignominious and abrupt dismissal. At last Wuthering Heights and Agnes Grey were accepted on terms somewhat impoverishing to the two authors; Currer Bells book found acceptance nowhere, nor any acknowledgment of merit, so that something like the chill of despair began to invade his heart. As a forlorn hope, he tried one publishing house moreMessrs. Smith, Elder and Co. Ere long, in a much shorter space than that on which experience had taught him to calculatethere came a letter, which he opened in the dreary expectation of finding two hard hopeless lines, intimating that Messrs. Smith, Elder and Co. were not disposed to publish the Ms., and, instead, he took out of the envelope a letter of two pages. He read it trembling. It declined, indeed, to publish that tale, for business reasons, but it discussed its merits and demerits so courteously, so considerately, in a spirit so rational, with a discrimination so enlightened, that this very refusal cheered the author better than a vulgarly expressed acceptance would have done. It was added, that a work in three volumes would meet with careful attention. I was just then completing Jane Eyre, at which I had been working while the one-volume tale was plodding its weary round in London: in three weeks I sent it off; friendly and skilful hands took it in. This was in the commencement of September 1847; it came out before the close of October following, while Wuthering Heights and Agnes Grey, my sisters works, which had already been in the press for months, still lingered under a different management. Yet I must not be understood to make these things subject for reproach or complaint; I dare not do so; respect for my sisters memory forbids me. By her any such querulous manifestation would have been regarded as an unworthy and offensive weakness. It is my duty, as well as my pleasure, to acknowledge one exception to the general rule of criticism. One writer [See the Palladium for September, 1850. ], endowed with the keen vision and fine sympathies of genius, has discerned the real nature of Wuthering Heights, and has, with equal accuracy, noted its beauties and touched on its faults. Too often do reviewers remind us of the mob of Astrologers, Chaldeans, and Soothsayers gathered before the writing on the wall, and unable to read the characters or make known the interpretation. We have a right to rejoice when a true seer comes at last, some man in whom is an excellent spirit, to whom have been given light, wisdom, and understanding; who can accurately read the Mene, Mene, Tekel, Upharsin of an original mind (however unripe, however inefficiently cultured and partially expanded that mind may be); and who can say with confidence, This is the interpretation thereof. Yet even the writer to whom I allude shares the mistake about the authorship, and does me the injustice to suppose that there was equivoque in my former rejection of this honour (as an honour I regard it). May I assure him that I would scorn in this and in every other case to deal in equivoque; I believe language to have been given us to make our meaning clear, and not to wrap it in dishonest doubt. The Tenant of Wildfell Hall, by Acton Bell, had likewise an unfavourable reception. At this I cannot wonder. The choice of subject was an entire mistake. Nothing less congruous with the writers nature could be conceived. The motives which dictated this choice were pure, but, I think, slightly morbid. She had, in the course of her life, been called on to contemplate, near at hand, and for a long time, the terrible effects of talents misused and faculties abused; hers was naturally a sensitive, reserved, and dejected nature; what she saw sank very deeply into her mind; it did her harm. She brooded over it till she believed it to be a duty to reproduce every detail (of course with fictitious characters, incidents, and situations), as a warning to others. She hated her work, but would pursue it. When reasoned with on the subject, she regarded such reasonings as a temptation to self-indulgence. She must be honest: she must not varnish, soften, or conceal. This well-meant resolution brought on her misconstruction, and some abuse, which she bore, as it was her custom to bear whatever was unpleasant, with mild, steady patience. She was a very sincere and practical Christian, but the tinge of religious melancholy communicated a sad shape to her brief, blameless life. Neither Ellis nor Acton allowed herself for one moment to sink under want of encouragement; energy nerved the one, and endurance upheld the other. They were both prepared to try again; I would fain think that hope and the sense of power was yet strong within them. But a great change approached: affliction came in that shape which to anticipate is dread: to look back on, grief. In the very heat and burden of the day, the labourers failed over their work. We thought this enough: but we were utterly and presumptuously wrong. She was not buried ere Anne fell ill. She had not been committed to the grave a fortnight, before we received distinct intimation that it was necessary to prepare our minds to see the younger sister go after the elder. Accordingly, she followed in the same path with slower step, and with a patience that equalled the others fortitude. I have said that she was religious, and it was by leaning on those Christian doctrines in which she firmly believed that she found support through her most painful journey. I witnessed their efficacy in her latest hour and greatest trial, and must bear my testimony to the calm triumph with which they brought her through. She died May 28, 1849. What more shall I say about them? I cannot and need not say much more. In externals, they were two unobtrusive women; a perfectly secluded life gave them retiring manners and habits. In Emilys nature the extremes of vigour and simplicity seemed to meet. Under an unsophisticated culture, inartificial tastes, and an unpretending outside, lay a secret power and fire that might have informed the brain and kindled the veins of a hero; but she had no worldly wisdom; her powers were unadapted to the practical business of life: she would fail to defend her most manifest rights, to consult her most legitimate advantage. An interpreter ought always to have stood between her and the world. Her will was not very flexible, and it generally opposed her interest. Her temper was magnanimous, but warm and sudden; her spirit altogether unbending. Annes character was milder and more subdued; she wanted the power, the fire, the originality of her sister, but was well endowed with quiet virtues of her own. Long-suffering, self-denying, reflective, and intelligent, a constitutional reserve and taciturnity placed and kept her in the shade, and covered her mind, and especially her feelings, with a sort of nun-like veil, which was rarely lifted. Neither Emily nor Anne was learned; they had no thought of filling their pitchers at the wellspring of other minds; they always wrote from the impulse of nature, the dictates of intuition, and from such stores of observation as their limited experience had enabled them to amass. I may sum up all by saying, that for strangers they were nothing, for superficial observers less than nothing; but for those who had known them all their lives in intimacy of close relationship, they were genuinely good and truly great. This notice has been written, because I felt it a sacred duty to wipe the dust off their gravestones, and leave their dear names free from soil. CURRER BELL [Charlotte Bronte] September 19, 1850.
a note : Ellis Bell is Emily Bronte. Acton Bell is Anne Bronte. Currer Bell is Charlotte Bronte.